High efficiency and cost effective. Robust Pump head of fabricated steel construction. Hot dip galvanised for resistance to corrosion. Perfect sanitary seal is ensured. from 5 kg to 50 kg capacity. Steel tubes with epoxy coating. PPS Group was founded by the late founder chairman Sri P. Papaiah setty in early 70’s. The group started its activities with manufactures of hand pumps to meet the growing requirement of the rural demands for claim water. The group also undertook projects for rural water supply across India. Today the group provide services for Sourcing, purifying, pumping and measurement in the area of water. The group has expertise in working in the African continent. 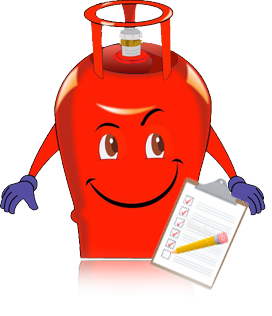 In 80’s the group shifted its focus to manufacturing and started LPG Cylinders manufacturing plant in Hyderabad, Bangalore & Chennai. The group also started manufacturing distribution transformers in the late 80’s. The group is headed by P Ramesh Kumarson of late P. Papaiah setty. P Ramesh Kumar is anengineering graduate and has specialized in small business administration from North West Missoura State university, US. After completing his master in business administration Mr. Ramesh returned back to India and joined the group. Today Mr. Ramesh is theChairrman&Managing director of Balaji Pressure Vessels Limited. In addition to heading the other group companies, Mr. Ramesh has practical experience from having started at the factory floor way back in 1991. The group has exported its pumps to over 32 countries in the last 20 years in addition to completing various turnkey projects in the field of water pumping. He has a wide exposure in managing various Companies in the last 14 years. Mr. Ramesh actively participated with Engineering Export Promotion Council and was a functional committee chairman for the southern region at Hyderabad. Mr. Ramesh was also actively involved in philanthropic activities and was the Area Chairman for Area 9 Round Table India. The group has consolidated its various activities and now focuses only on Engineering, Power and Water sector in the Indian & the International Arena. 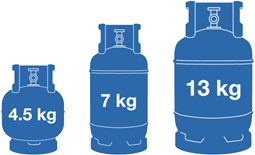 BALAJI PRESSURE VESSELS LIMITED is a company with an impressive growth rate and is occupying a pivotal position in the manufacturing of Liquified Petroleum gas cylinder Industry. Balaji Pressure Vessels Limited was incorporated on the 19th May 1982 as a Private Limited Company and later on converted into a public Limited Company on the 29th March 1991. Established in 1992, Sai Baba Flame Proof Switchgears Private Limited (SFS) is the leading manufacturer of Distribution Transformers in India. SFS has an extensive product range of Distribution transformers range from 10 KVA to 500 KVA capacities of various designs as per the customer specifications. Our products are designed to meet the requirement of the international market.